Doing high quality and policy relevant research is at the core of the raison d’être of think tanks and policy research organisations and, when this fails, so does the think tank. But what exactly does policy relevant research mean? How do you ensure your research is relevant for decision making? How do you engage your stakeholders to validate the relevance of your research? To be relevant for policy and practice, and to ensure its impact, research needs to be linked to its context. It needs to respond to existing problems and recognised by the stakeholders involved. A key step on this is reflecting (and drafting) an organisation’s research agenda. A research agenda guides the research efforts of an organisation; it helps to articulate different initiatives into common goals; and it also aids organisations in communicating their focus and area of expertise. This 1 hour webinar is free of charge. Leandro Echt is a Research Associate at On Think Tanks. He has more than ten years of experience in the policy and research field. He engages with think tanks, researchers, NGOs and public agencies interested in linking evidence with public decisions, particularly in developing countries, through capacity building, mentoring and consultancy activities including research, evaluation of programs and organisational assessments. He is also Associate at Politics & Ideas and Board member of the International Support Group. 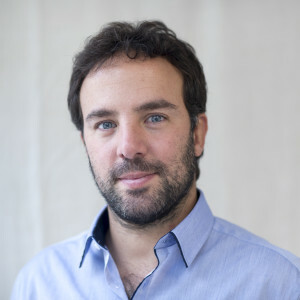 Previously, he was the coordinator of the Influence, Monitoring and Evaluation Program at the Argentinean think tank Center for the Implementation of Public Policies promoting Equity and Growth (CIPPEC). Andrea Baertl is On Think Tanks’ Research Officer. She is a social psychologist by training and has experience in research, research communications and uptake, capacity building for NGOs and think tanks, and corporate social responsibility. She has first-hand think tanker experience, as a researcher for a think tank. Among other initiatives: she partook in development projects focusing on improving governance in regional governments, and has also worked in a programme seeking to inform Peru 2011´s presidential electoral process by raising the quality of the debate with research and policy analysis. 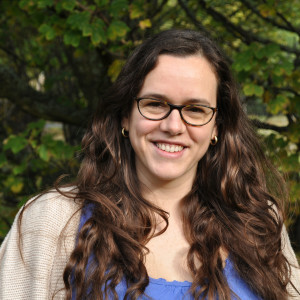 Before joining On Think Tanks, Andrea worked at the ELLA (Evidence and Lessons from Latin America) programme where she focused on ensuring that the research produced responded to the needs of the target research users (policy makers, communities, media, academics and practitioners), was absorbed by them, and provoked them to action.